At Phenotype, we aren't sure whether to be more excited about the Dermasweep™ device or the infusions that go with it! So let's talk about both. 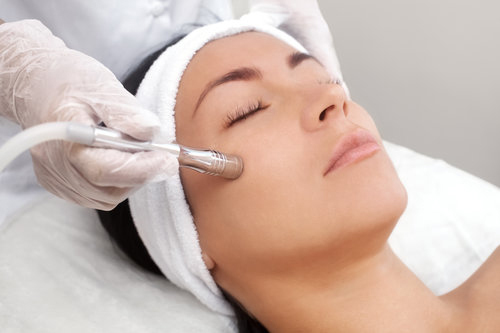 The Dermasweep™ uses a unique and customisable treatment approach to deliver incredible results. The bristle tip gently lifts away the top layer of skin and increases microcirculation and oxygenation in the skin. It is suitable for all skin types. Infusion solutions are added to every treatment using a soft tip which delivers key nutrients and vitamins to the skin. Exclusive vitamin and mineral infusions are used to treat specific skin concerns with visible results after just one treatment.